Parking sensors are located on the bumpers of a car and assist the driver in parking next to or against other vehicles or objects by sounding an audible beep inside the car. The closer you get, the faster and more frequent the beep becomes until it’s a constant tone. Parking sensors can be fitted to the front and rear of the car, usually in the bumpers. When parking, they measure the proximity to another car or object you’re parking next to and sound a beep inside the cabin to alert the driver how close they’re getting. They usually come into action either by selecting reverse gear, pressing the button on the dash or when you drive up to something slowly and it detects you’re getting close. The closer you get, the more frantic the beep becomes – when it’s a continuous beep you should stop because that means you’re as close as you can get before hitting something. Some cars come with a visual display which shows how close you’re getting by going from yellow to red the closer you get to something, while other cars go a step further and feature a reversing camera and a self-parking function that operates in conjunction with the sensors. 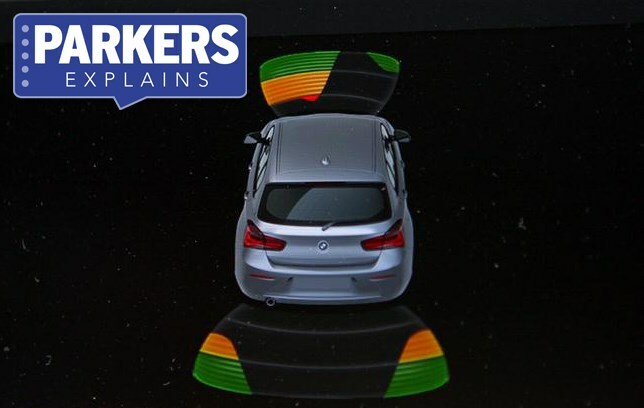 More cars than ever come with parking sensors either as standard or as an option, and they can be a really handy tool if you regularly park in tight spaces. Some modern cars also have restricted visibility caused by their styling, so they can really help in letting you know where the extremities of the car are. The good news is they’re not particularly expensive to add, either. Almost every new car can be specified with parking sensors, from the dinky Skoda Citigo all the way up to a Range Rover, while more advanced parking systems are also available.